Covenant Relationships: Wake Up!! Marriage is not a fairy tale. This is the real world. Get to know your partner's relationship with God. A man's love for God will reveal a lot about his relationship with you. A man who loves God will love you. If he fears God, better for you. A woman who loves and fears God will respect you as the head of the home. Check his/her background while dating. Personally I do think people in love should date for sometime, say minimum of 18 months to get to know one another. I don't subscribe to "Boy meets girl, sweeps her off her feet and gets married immediately story". I believe that every person should enter marriage with his/her eyes open. Get to know the family you are marrying into. Marriage is not just a bond between two people, it is a bond between two families. As a man, get to know how the lady treats her father. It will not be different when you take over the position as the man in her life. 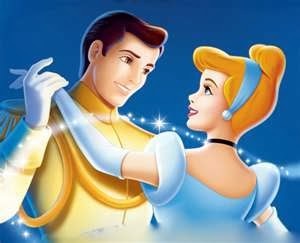 As the woman, get to know the relationship between your Prince charming and his wife. This will reveal a lot and help you in your relationship. Read a lot about marriage in Christian marriage books. I frown a lot at the fact that most of the christians intending to tie the knot, have not read books on marriage. They expect to ave successful marriages because they are tongue talking christians. Go for your church's premarital counselling service. I believe that every christian should avail himself/herself of this opportunity as it will reveal a lot about marriage that you are unaware of. Please do NOT think because you are a christian, you do not need to go for premarital counselling. It is very important. Talk about expectations about the roles in marriage. Every woman should discuss her expectations of a husband, father, friend, lover with her fiancé. The man should also do this exercise with the woman he intends to marry. This helps to clear the air in terms of expectations. The couple should also talk about careers as well as number of children.